Half a year passed since Sudan’s president Omar al-Bashir last came to Malawi. By then late president Bingu wa Mutharika welcomed his colleague for a regional trade summit. Malawi’s new president Joyce Banda now addressed the African Union and the Sudanese government itself saying she does not like the nation’s leader to attend this year’s AU summit in Lilongwe. The debate about the controversial African leader goes to the next round. Omar al-Bashi, current president of Sudan is the first head of state in office that is internationally wanted. The International Criminal Court in The Hague issued a warrant for al-Bashir’s arrest. He is accused of war crimes, genocide and crimes against humanity. All nations that signed the Rome Statute which founded the only internationally operating Criminal Court, are supposed to act according to the Court’s announcements and arrest warrants. But the actual arrest of Sudan’s president did not come although he travelled to several countries in Africa and the Middle East that should have arrested him. Meanwhile the African Union’s viewpoint is resisting the arrest warrant because it is seen as a try to topple an African leader. In last year’s October, al-Bashir already visited Malawi for a regional trade fair. Malawi’s late president Bingu wa Mutharika did not arrange his colleague’s arrest but defied international calls. The consequence was that the ICC referred Malawi to the UN Security Council. The U.S. suspended in the following period $350 million of US aid money (MCC Programme) because of the worsening human rights situation. In two months time, Malawi will be hosting the annual summit of the African Union. 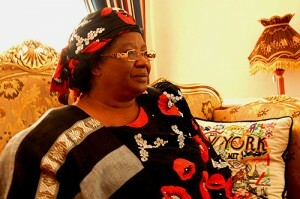 New president Joyce Banda now fears that a second attendance of al Bashir in Malawi could imply more negative influences on the country’s economy. Consequently, Banda contacted the Sudanese government, asking a top level official to attend the summit instead of the country’s head of state. Sudan can be represented by anyone in July but not by someone who will jeopardize our economy. We cannot take such risk… Let the AU decide on his position. He [Bashir] should forgive us this time as we are struggling to fix the economy. It is about the nation; it is about Africa. It is not Malawi hosting the AU summit but rather it is a question of African Heads of State meeting in Malawi. But at the end of the day, Malawi will have to seriously take into consideration the repercussions of hosting President Al Bashir in Malawi. Since her assumption of office after Bingu wa Mutharika died one month ago, Banda tries to get foreign donors back to Malawi to tackle the current economic crisis. Fuel shortages and forex problems are only two of the difficulties the new government faces. Since president al-Bashir denies all charges of the ICC, the Sudanese government responded to Malawi’s request with rejection. Banda could not dictate al-Bashir to send an official instead of himself. This will not happen because the host country has not the right to dictate who comes. This is according to the AU. However, in Malawi as well as Africa wide, the debate about Omar al-Bashir’s status goes on. It remains to be seen how the new Malawian government will proceed. 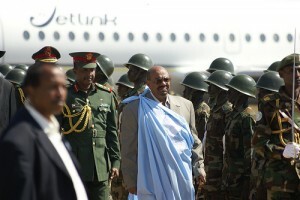 One thing is for certain: Omar al-Bashir was already forced to cancel his appearance on different occasions. Moreover important summits had to be cancelled or moved to other locations since the topic al-Bashir is of such political brisance. But if it is possible that the AU summit in Lilongwe in July will be cancelled or moved to another country is questionable.